Schedule a 30-minute appointment for technical assistance with your devices. Appointments must be made in advance. Please note that we cannot assist with every request. Call 540.894.5853 for details or to schedule an appointment. 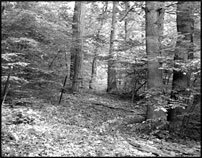 An early attempt to establish a library in Louisa County took place in 1953,when the Virginia State Library delivered books with a van. In 1971, 50 people turned out for a meeting with Raymond Williams, the Director of Jefferson-Madison Regional Library. From this event, a campaign was launched to create a branch in Louisa. Within a year, the dream became reality. The Louisa County Branch Library opened on November 27, 1972, in a former barber shop on Main Street. This 440-square-foot space was rented by the county for $100 a month and was open 22 hours a week with two part-time staff. During the early years an occasional story hour was held in local churches. During the last year in the building, story hours and other children's programs were held in the branch, but due to severe space limitations the library was closed to the public. The library remained in those cramped quarters until October 1979. In 1979, Louisa County purchased the charming Girl Scout house on West Street, a 2,252-square-foot building with a 305 square-foot meeting room. This location of the library, was open to the public 48 hours per week and had a staff that included a Branch Manager, 3 full-time and 2 part-time staff. The collection grew from 714 volumes to nearly 30,000 volumes with an annual circulation of over 116,000 items. In 1987, the Louisa County Board of Supervisors created a Library Advisory Board with representatives from each voting district. In October 1988, this Board encouraged the County Supervisors to establish a Library Foundation for the purpose of acquiring a library site and constructing a larger, more modern library building. More than ten years of working, planning and fund-raising resulted in a plan for construction of a new 15,000 square-foot library to be located adjacent to Louisa County Middle and High schools. Plans for the new branch included significantly larger collections, computers with Internet access, a historical and genealogical collection room, a large meeting room, space for tutoring and a law collection. 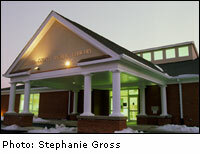 Ground was broken for the new Louisa Library in March 1999, and, on December 12, 1999, the branch was dedicated. Staff and community greeted the opening of the new building and with it, expanded services to the citizens of Louisa County. The library has many features of a modern 21st century library with public computers, printers, wireless internet, self checkout, and audiobooks and eBooks to download. The building survived the August 2011 earthquake with little damage, and the staff was able to provide assistance to the Louisa County Schools that sustained extreme damage. Today six school computers remain in the library to give students access to homework assignments. As of 2013, the library houses 60,000 items that include books, books on CD, and DVDs for all ages. A staff of three full time and three part-time employees serve the community with internet tutorials, family film programs, adult and teen book discussion groups, and a wide range of programs for children. Online payment for your library fines. Please call ahead to guarantee availability.